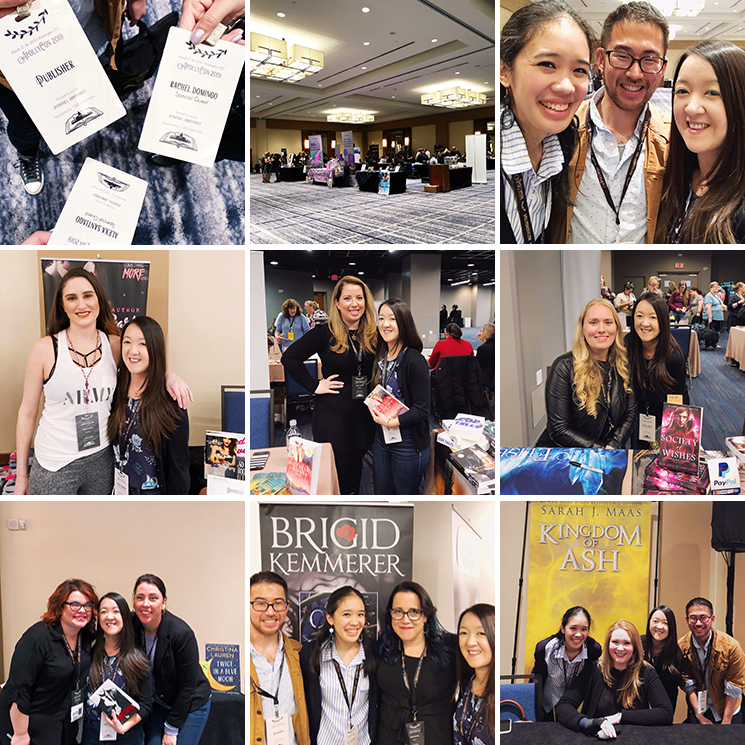 For the newbies: From 2013-2017, I had a BookBags feature where I paired books with bags and in the middle of that, I introduced What's in my Bag as a subset of that feature where I shared what's in my bag and invited other bloggers to guest post too. I'm so excited to bring this feature back this year! One of my dear friends, Kristin from Super Space Chick, is on the blog today to share what's in her bag! And this shouldn't surprise anyone but her bag and everything in it very, very cute! Hello everyone! As an avid reader and fan of Hello Chelly, I'm so excited to be guest posting today! Rachel invited me to share what's in my bag so I'll be laying out the contents of my purse for your viewing pleasure. 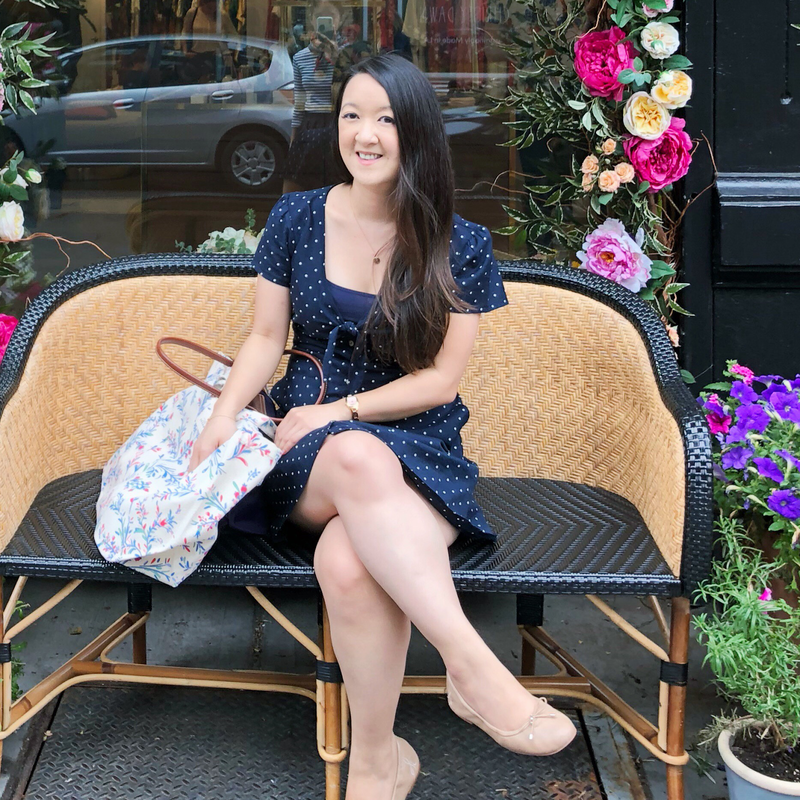 My Rebecca Minkoff Regan Satchel is one of the newest additions to my handbag wardrobe (I decided to spring for it after consulting Rachel and Alexa actually!). About a year ago, I moved to New York City and since I no longer needed a giant Mary Poppins bag for my commute to work, I was excited to invest in something a bit smaller but still capable of holding all of my essentials. My purchasing criteria in summary: if I can't fit a book in it, it's not the bag for me. I was between two other bags at the time of my indecision when I first laid eyes on this beauty. I absolutely adore the light grey color. It pairs perfectly with pastels as well as monochrome black outfits and it can be dressed up or dressed down with ease. The front compartment is perfect for housing my subway card so I don't have to open my entire bag when trying to catch a train. And bonus, this bag is still in stock on Rebecca Minkoff AND still on sale! Tory Burch Wallet | Admittedly, I do need to get a new wallet that matches better but I love the size of this Tory Burch one and I have yet to find anything that compares. I hate when wallets are too large and take up valuable purse space or too small (like a coin wallet) making it difficult to find what you need. I really would love to find something this size in blush, grey or a metallic color! My iPhone | I couldn't live without this (or rather I could but I wouldn't enjoy it!). Unicorn Hand Gel | I love this little unicorn hand gel case that I got from Bath and Body Works. It's sparkly and fun and it's perpetually filled with coffee or pumpkin scented hand gel. I probably use this more than anything else in my bag because New York subways will have that effect on you. Keys | I think these are pretty self explanatory but I love my Sugarbone Sailor Moon keychain and Kate Spade ice cream keychain to pieces. Tea | I am basically an old lady and I never go anywhere without a few bags of Tazo chai tea and earl grey tea in my purse. Too Faced Lip Gloss | This is recent Sephora purchase and I loved it so much I ordered a second color! I thought I was over lip gloss since it tends to be sticky, but I love the subtle color and shine of these. Plus, they don't feel sticky and I'm always up for glitter products. Kate Spade Sunglasses | I recently ordered these on Amazon because I want to be better about protecting my eyes (and they're great for running errands when I don't feel like doing my eye makeup!). Side note: I was having a really rough day at work so I kind of stress ordered them and this is the first time ever that the product arrived the same day. I am still amazed by this. Ardent Admirations Book Sleeve | My go to romance BookTuber Jess from Peace Love Books, also has a lovely shop where she sells the cutest book sleeves. I'm so excited to have gotten this one during one of her recent restocks. The fabrics she uses are adorable! Book | Red, White and Royal Blue by Casey McQuiston is my current read and I love it so much! I'd been highly anticipating this royal romcom and so far it's exceeding my expectations! TIJN Blue Light Glasses | This purchase was solely made thanks to Rachel after seeing her blog about them and I have to say I could not be happier that I took a chance on them. I wear these at work every single day and I've had almost no headaches from staring at my computer screen. It's honestly a miracle and I wish I knew about them earlier! I want to get the red and black frames as well to change it up! Hope you enjoyed seeing what's in Kristin's bag! What are some of your necessities? If you're interested in doing a guest post, email me!